Athens Concierge & luxury travel in Greece. We΄re an experienced group of specialised professionals undertaking personal assistance in the areas of transportation, concierge and VIP services for more than 10 years in Athens, Greece. Athens Concierge Services is a concierge service & luxury travel company that specialises in fulfilling every travel, lifestyle and leisure request in Athens & Greece. 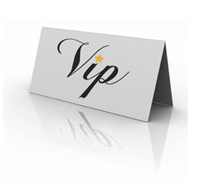 Offering a highly personalised service, you will receive your own personal concierge to contact directly for all requests, who will pre-empt your every need.